Atelier Premiere is a New York based company specializing in high-end residential and decorative painting, ranging from traditional treatments to contemporary finishes. Atelier Premiere prides itself in its ability to be versatile and innovative while always keeping its client’s sensibilities at the forefront. Atelier Premiere has grown significantly over the recent years accommodating the demand for its quality service and products into a large scale operation retaining the determination to always have a content client at the end of the project. At Atelier Premiere we take pride in focusing on the fundamentals. We consider the preparation of surfaces to be equally as important as the final decorative finishes. Atelier Premiere makes the effort to ensure that all our prepared surfaces are of the highest quality. The results speak for themselves, this is why many architects, designers and contractors select as their preferred choice Atelier Premiere Custom and Decorative Painting Inc.
Atelier Premiere is recognized by many decorators and architectural firms for the quality of our workmanship and quality of service. This reputation has enabled us to build a client base that is satisfied and reassured with our product. Atelier Premiere has always had the ability to produce high quality decorative work due to an alliance of American taste and French heritage in the field of decorative finishes. 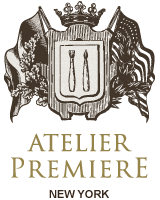 Atelier Premiere’s reputation is continually expanding throughout the United States and beyond. Although the majority of our business is in Manhattan, Atelier Premiere’s client list includes projects in Long Island, Greenwich, Palm Beach, Atlanta, Malibu and the Cayman Islands.